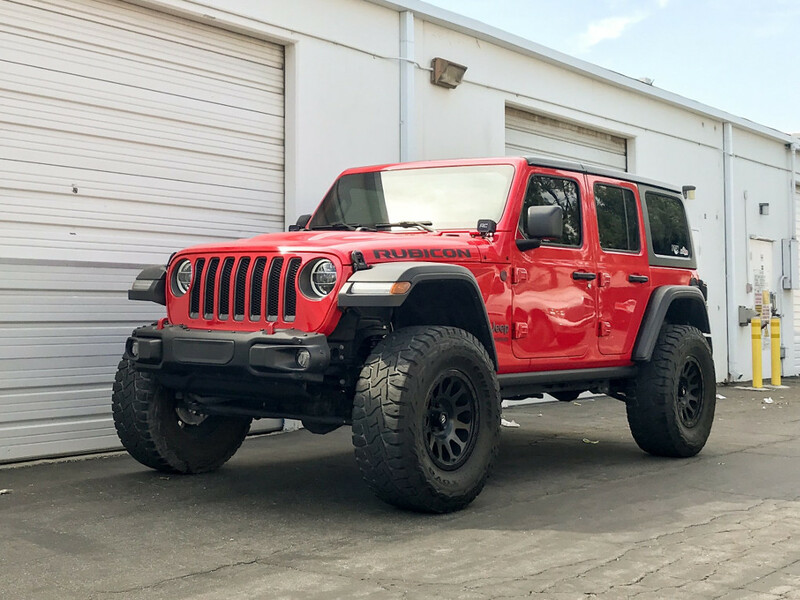 This complete kit features everything necessary to lift your Jeep Wrangler JL and provides the ultimate on-road and off-road ride. 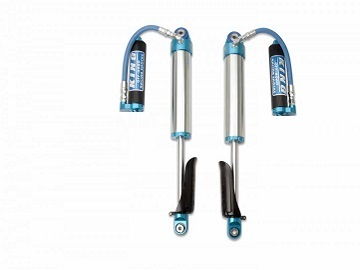 All shocks are pre-tuned for your weight, terrain, and preferences. The stage 4 kits adds a complete control arm set, and adjustable rear track bar for off-road durability and rear pinion angle adjustment. Lift height will vary depending on Model and additional upgrades that add weight. At AccuTune Off-Road every shock is pre-tuned for your ride using our state of the art valving equations. The use of engineering equations allows us to document any vehicle and to design valving tailored specifically for your driving style and your terrain. Our equations check for harshness, handling, bottoming and control through the whoops and bumps to make sure you get the right performance the first time. Standard Fox and King valving has way too much rebound and not nearly enough compression damping to be provide a smooth ride off-road. Call to order you pre-tuned shocks today. 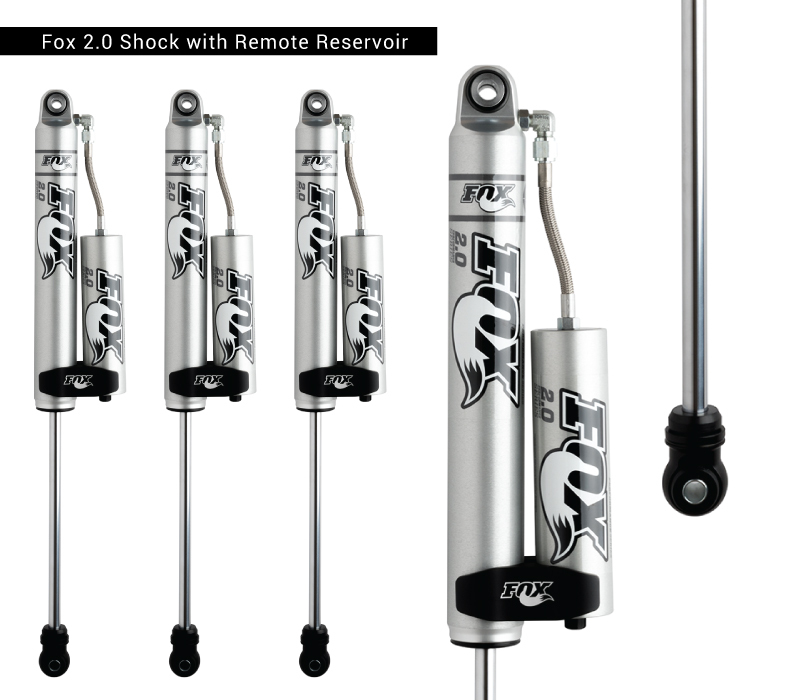 Fox 2.0 remote reservoir shocks are an excellent choice for off-roading. They have a linear piston which is easily tuneable to provide a comfortable ride in your Jeep JL. 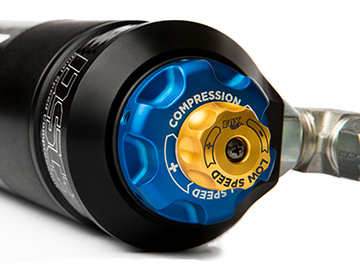 The remote reservoir design means the shock can be re-valved and rebuilt, and it also means the shock operates at lower pressures resulting in better ride quality and durability. 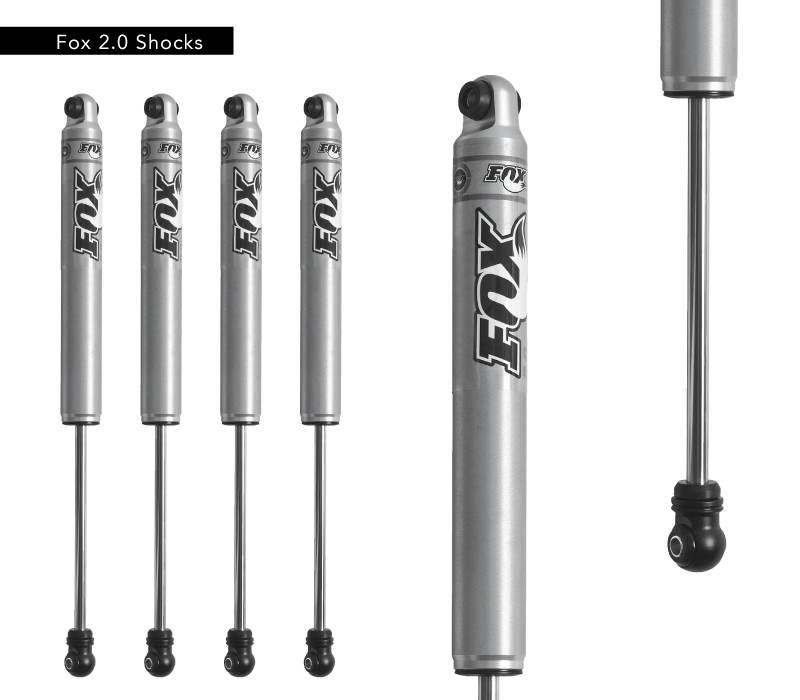 Fox 2.5 JL shocks take performance to the next level. 2.5" shocks are better able to handle the JL's weight by having more dampening capability and a larger oil volume to disipate the heat. As an added benefit the rear Fox JL shocks have a bottom mounted reservoir allowing for the ultimate anti-cavitation performance. 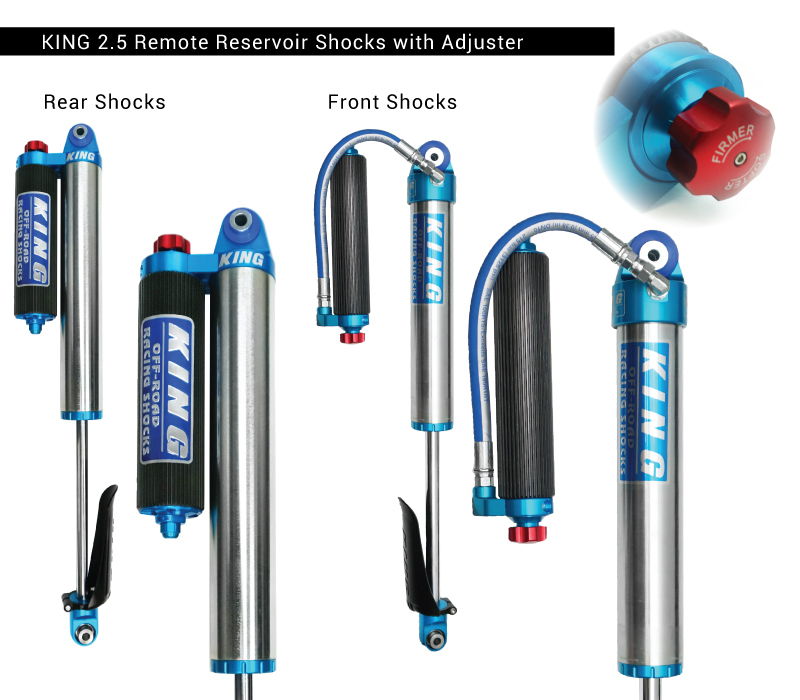 King 2.5 Remote Reservoir Shocks are known for their legendary ride quality. High flow, billet aluminum pistons and 17-4 stainless steel valve disks deliver premium ride quality across the roughest off-road terrain. The design of the King 2.5 Shock piston allows them to be tuned for a wide range of off-road vehicles and driving styles. 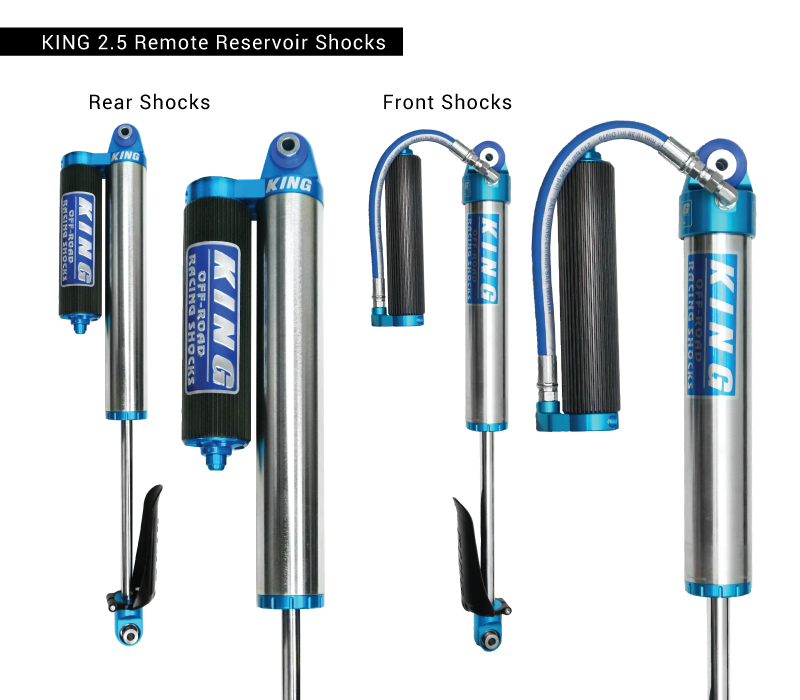 Go exploring with King 2.5 Remote Reservoir Shocks. Johnny Joint® adjustable length control arms for the '18 & up Jeep JL Wrangler. 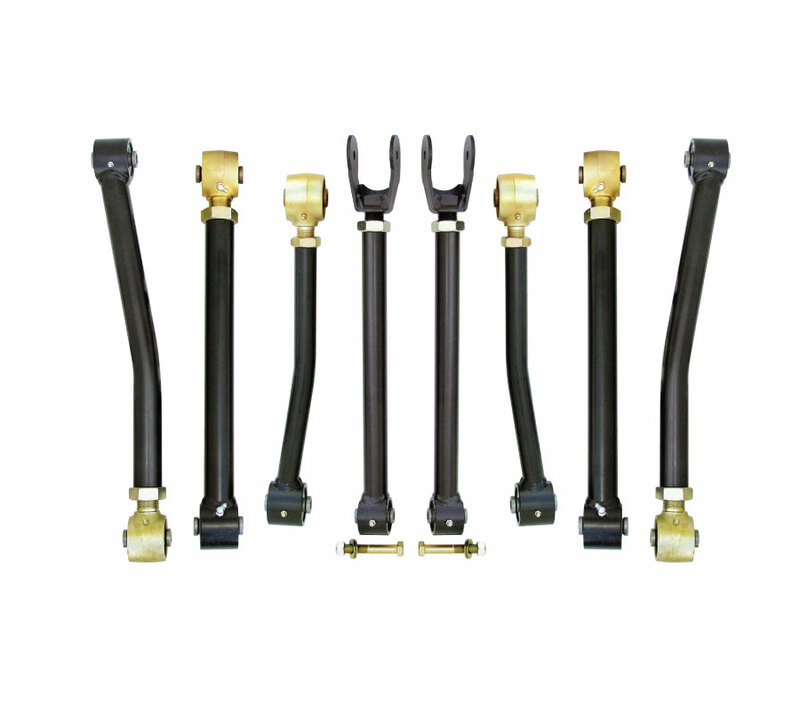 All arms feature heavy tubular steel construction and Johnny Joint® rod ends on both ends. Johnny Joint rod ends offer 30 degrees of overall travel, are urethane bushed, and are fully rebuildable! It is very common for people to loose a couple inches of travel by purchasing the wrong length Jeep JL shocks. Call us, read our articles, or take some measurements to make sure you get the right length Shocks for your lift. Getting the right length shocks could increase your travel by up to 20%! 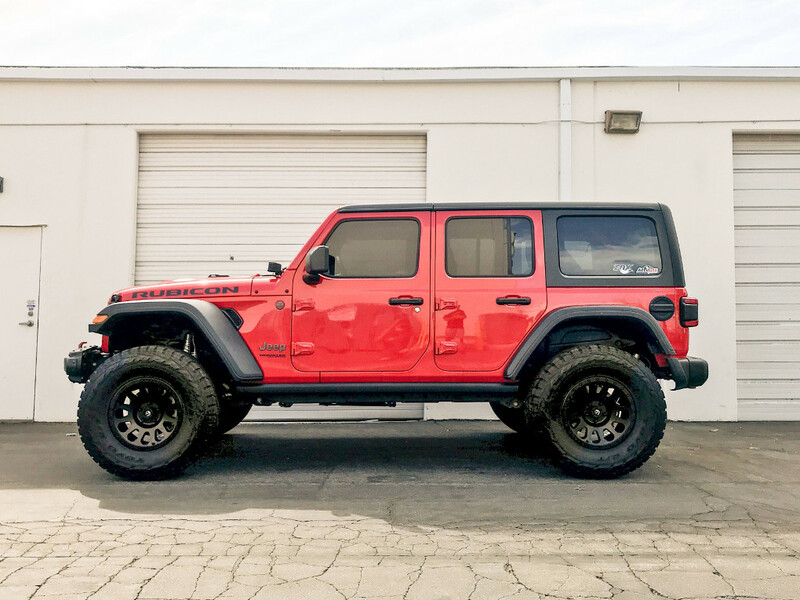 AccuTune Off-Road lift springs for the Jeep Wrangler JL and JLU were designed using our decades of suspension tuning experience to provide a smooth ride and excellent off-road performance. 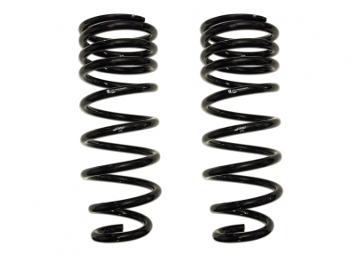 These springs are made by Eibach in the USA to ensure they are high quality and long lasting. 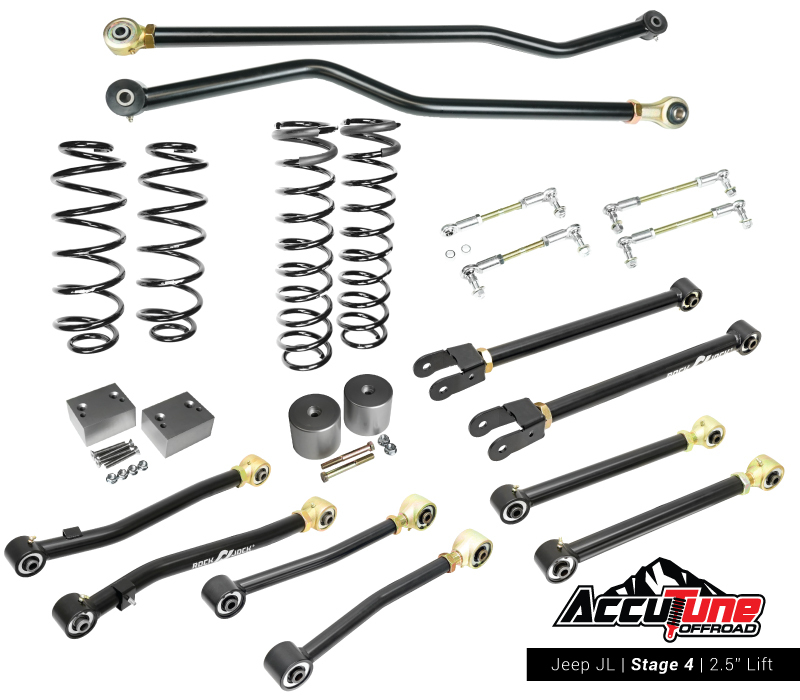 When lifting your Jeep JL look no further than AccuTune Off-Road for the best ride and highest quality parts. Thought I’d post a brief review of the AccuTune Off-road 2.5″ Stage 4 lift. I asked some questions about it initially, didn’t get much response, and decided to take a gamble on it. I’m glad I did – In short, it’s AWESOME! 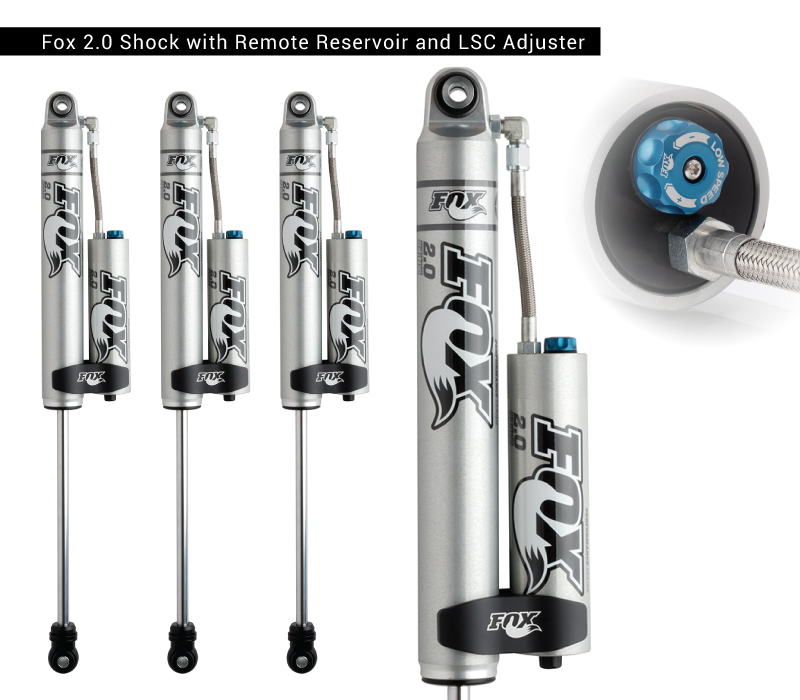 I purchased mine with the Fox 2.0 Remote Reservoir shocks with the LSC adjusters. These have been custom tuned by AccuTune for use with their springs. The ride quality (on 35s) is great. It’s more controlled than factory, more composed, and generally doesn’t feel floaty. I’ve only got about 100 miles on it through varied terrain, but so far it’s great. It was too cold to play with the adjusters too much yesterday (4 degrees…. ), but some basic adjustments showed that they are certainly impactful. On my pot-hole laden roads, though, the jeep handled it like a champ. Wasn’t bouncing around, just soaked it up and kept going. I found that I was blasting through known sections with a much higher velocity than previously. Overall – I’m extremely happy with my choice. Can’t wait to get this out on the trail.